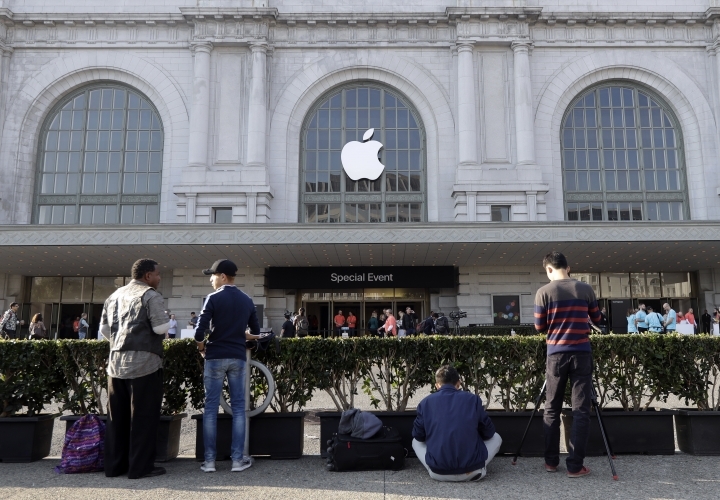 SAN FRANCISCO — Apple wants to push consumers further into a wireless world. 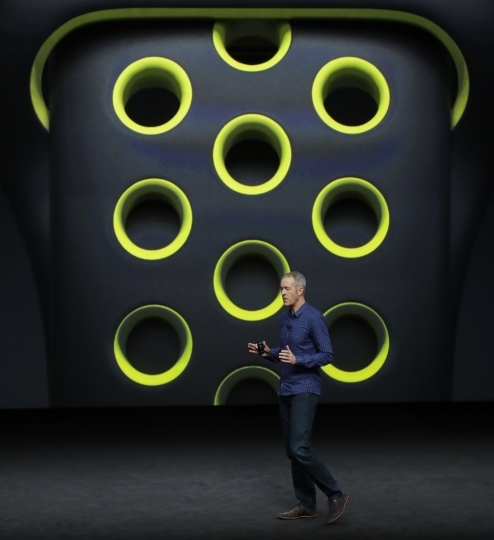 Its tactics: eliminate the standard headphone jack in its newest iPhones and market new "AirPods" — tiny wireless earbuds that the company claims greatly improve on standard Bluetooth technology. But that strategy has some risks. 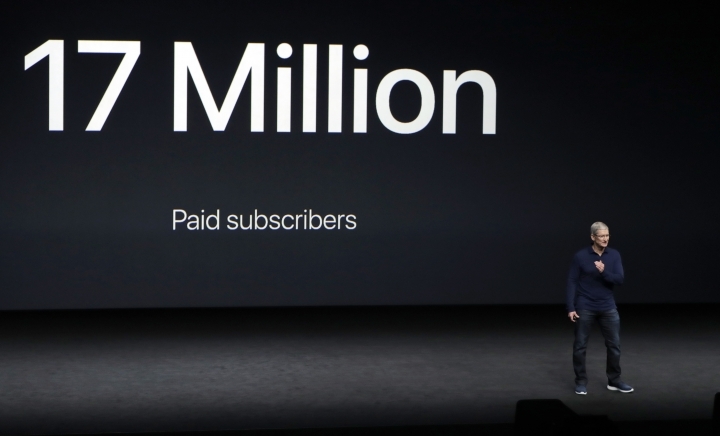 Start with the AirPods themselves. These are a pair of earbuds, each with an inch or so of protruding plastic, and nothing else — no wires to hold them together, no dangling cords. 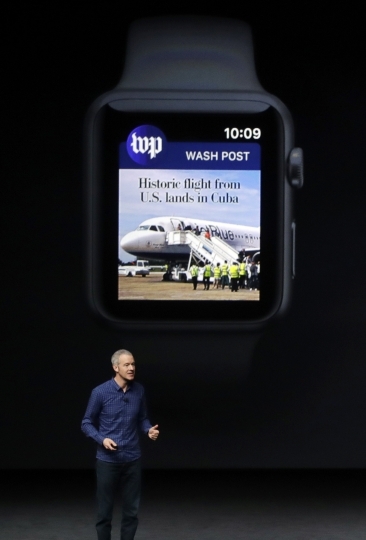 If they live up to Apple's claims, they're a technological marvel, tiny and expensive. And, perhaps, also easily dislodged or misplaced. 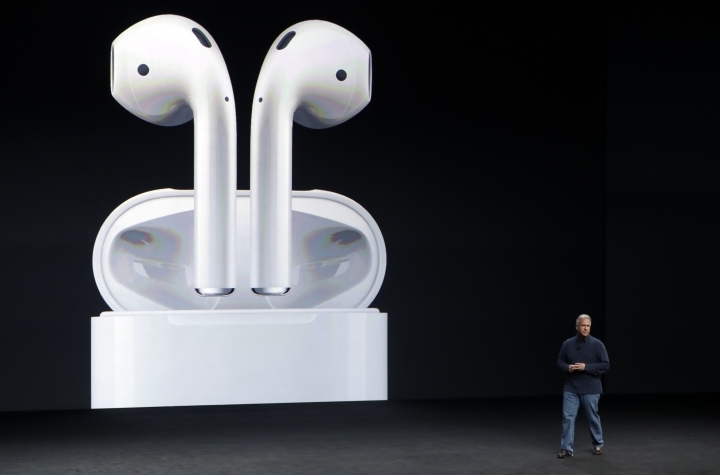 Analysts at IHS Technology say that Apple used a smooth-surfaced design that doesn't conform to the shape of the ear, and note that having AirPods fall out while running or biking "is less forgivable at the $159 cost level." 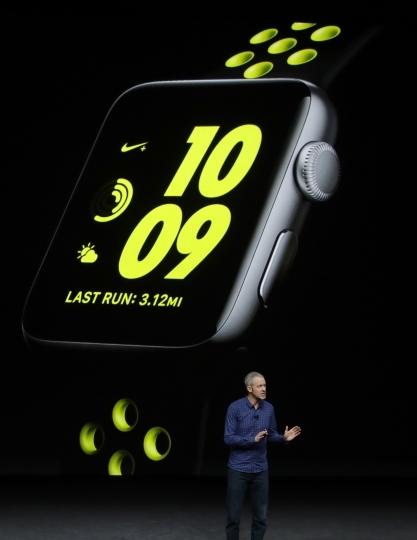 Or as Bob O'Donnell, a veteran consumer tech analyst at Technalysis Research, puts it: "You start losing those things at $160 a pair, you're going to go crazy." 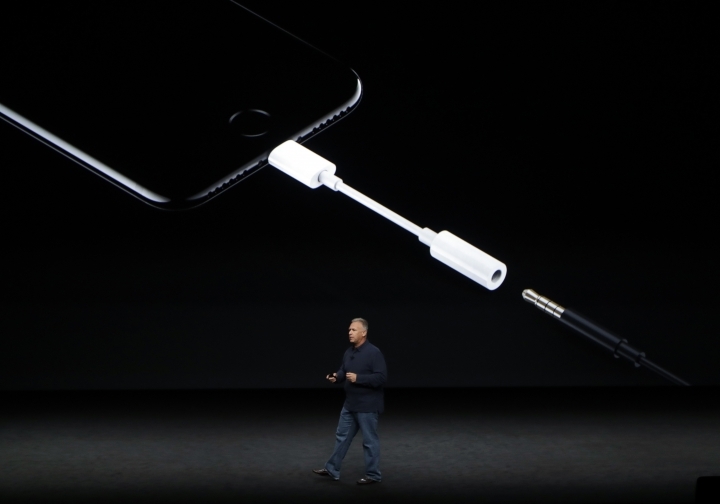 The alternative — plugging a headphone cord into the iPhone's power port — has plenty of downside as well. Older headphones that aren't compatible with Apple's "Lightning" power port will need an adapter. 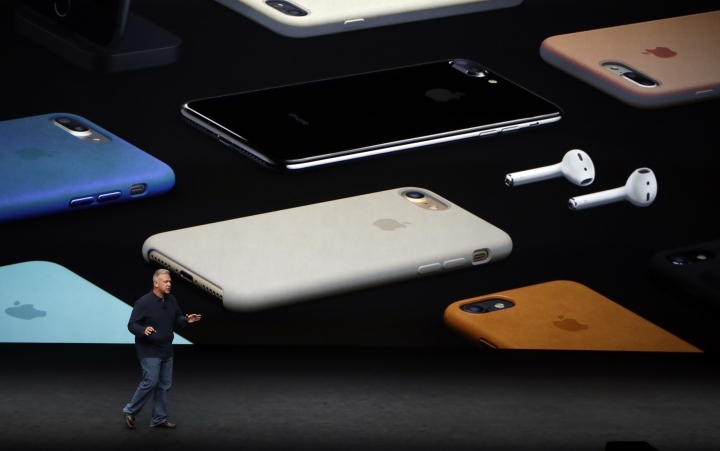 Those will come standard with new iPhones, but many consumers could find it annoying to use the extra "dongle." 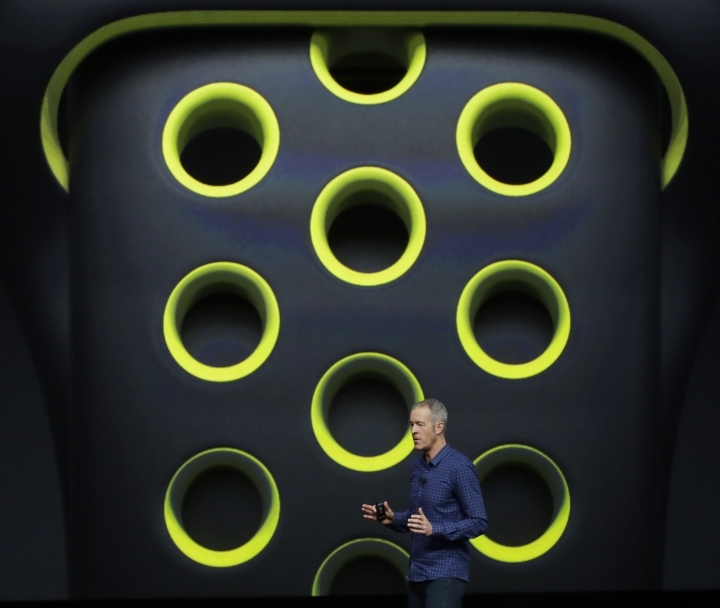 And they won't be able to plug in headphones if there's a power cord in the Lightning port. 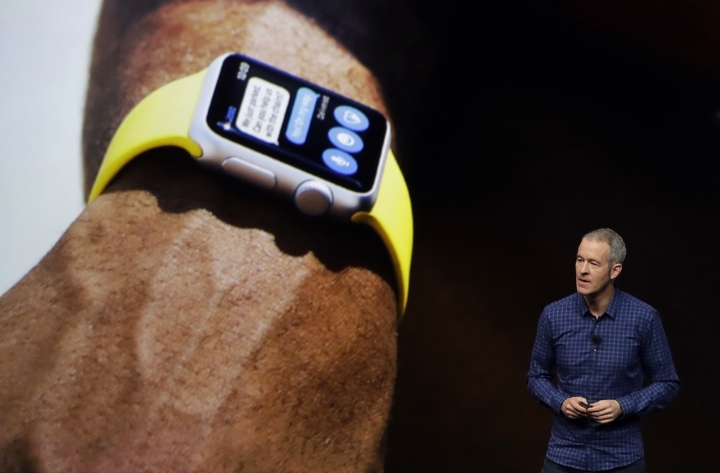 Apple Senior Vice President Philip Schiller made it clear Wednesday that the company sees a future where its sleek gadgets are no longer encumbered by cords at all. 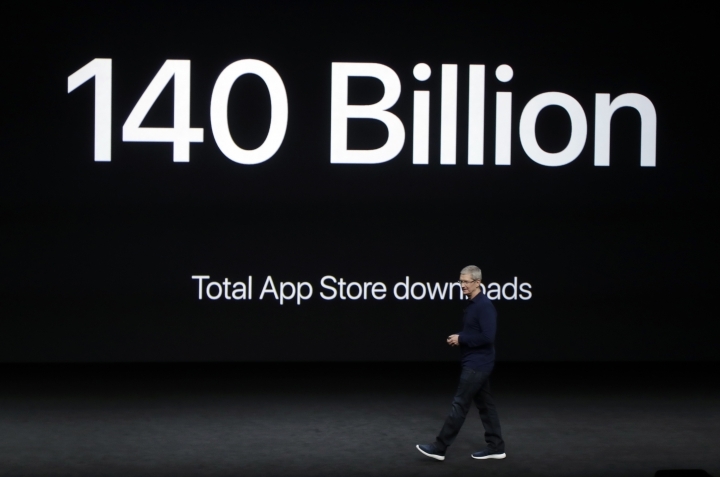 "It makes no sense to tether ourselves with cables to our mobile devices," he said during the company's annual fall product event. 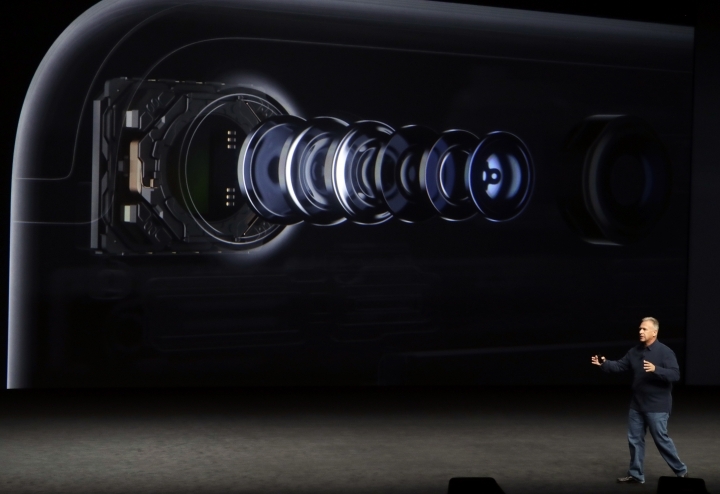 Eliminating the standard analog jack freed up some space inside the new iPhones, allowing Apple to increase the battery size and add another speaker as it redesigned the interior of the device. 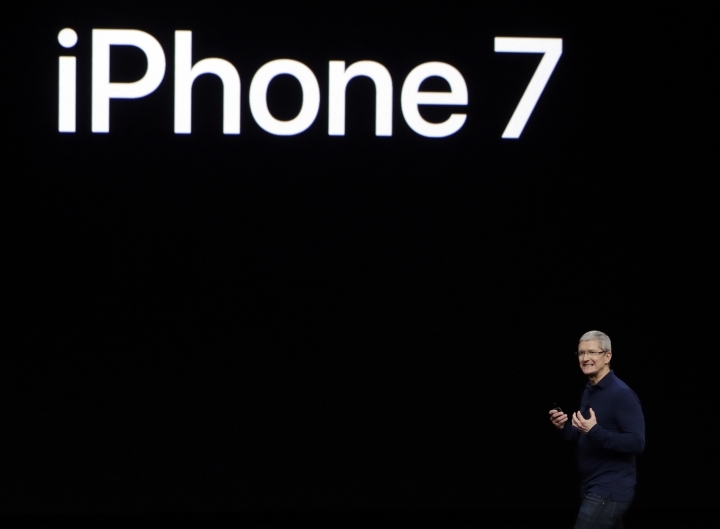 Despite some earlier rumors, Apple didn't use the extra space to make the iPhone 7 or 7 Plus any slimmer than last year's models, the 6S and 6S Plus. 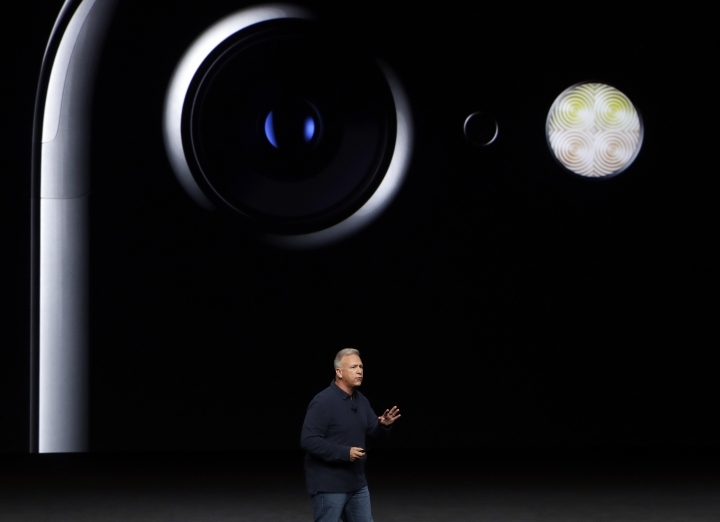 Apple did make an effort to improve on standard Bluetooth technology, which can be unreliable and obstinate when used to "pair" wireless headsets with phones or other devices. The new AirPods are based on Bluetooth standards. 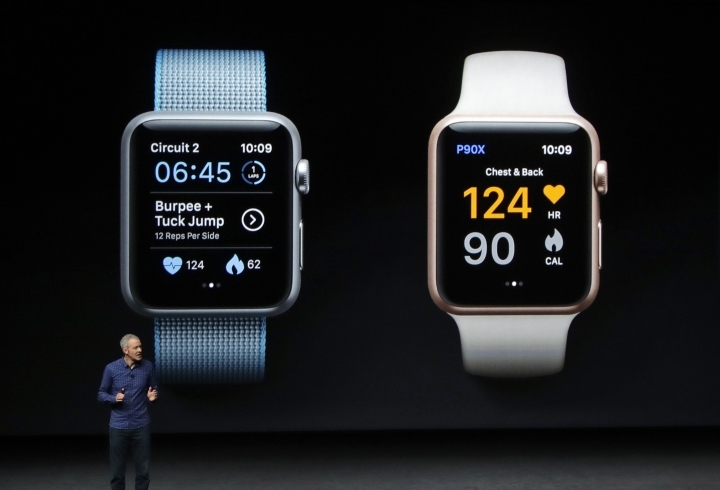 But in addition to special sensors, a microphone and noise canceling technology, they have a processor chip designed by Apple, combined with software that Apple says will make it simple to sync them with an iPhone, Apple Watch and other Apple gadgets. 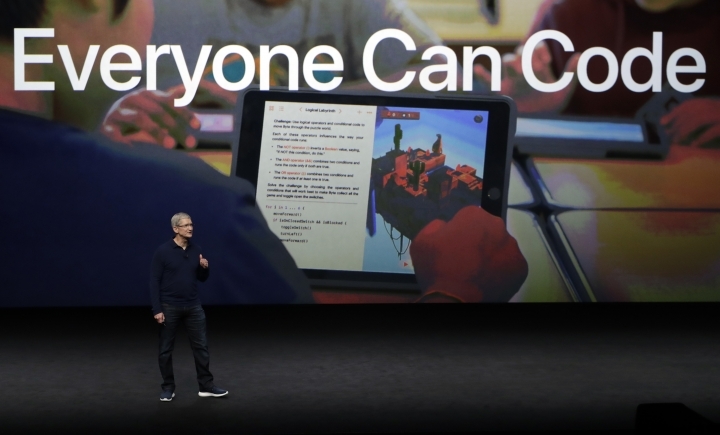 The result allows a "seamless connection between you and your devices," said Apple Chief Design Officer Jony Ive in a promotional video. 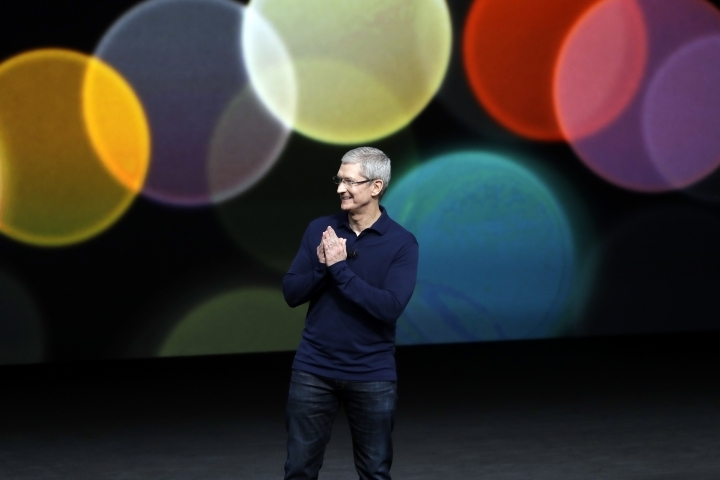 "We're just at the beginning of a truly wireless future we've been working towards for many years." 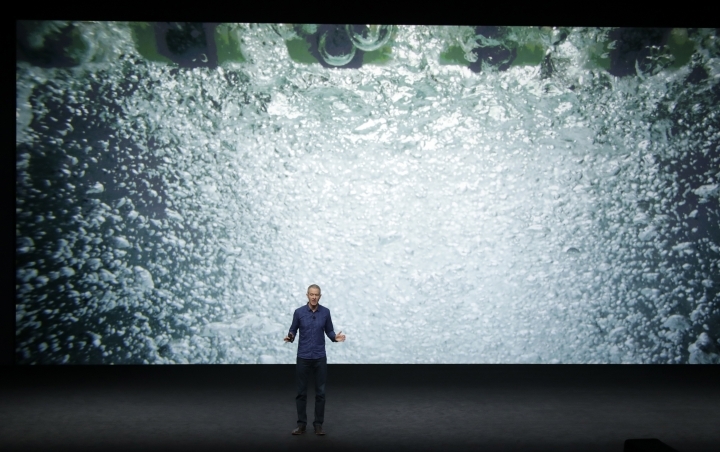 Apple says the new "AirPods" will work for five hours before their batteries need re-charging; they come with a small charging case that's supposed to provide 24 hours of additional juice before the case itself needs to be recharged. 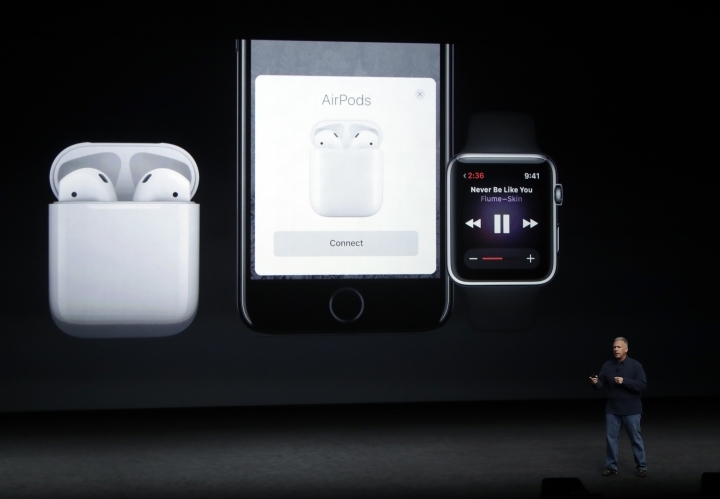 The "AirPods" will work with Bluetooth-enabled devices made by Apple's rivals, but they won't have the ease-of-pairing that comes with Apple's software. 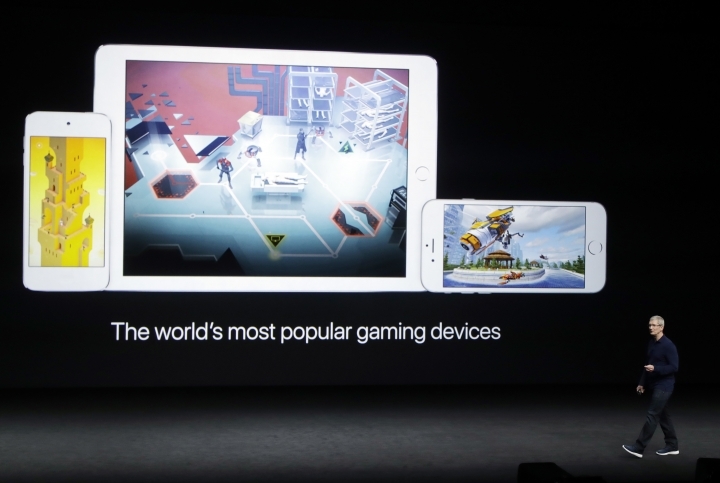 Schiller didn't mention rival devices during his presentation, nor did he even use the word "Bluetooth." 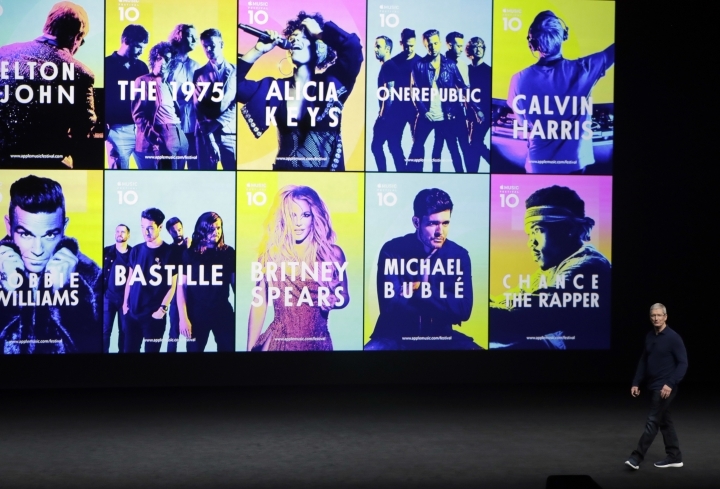 Analysts say Apple clearly wants to promote its own brand of wireless listening gear, including new headphones from its own "Beats" division, since the market for such accessories is growing at a time when sales of iPhones — and other smartphones — are slowing. Some early reviewers are already captivated by the AirPod. 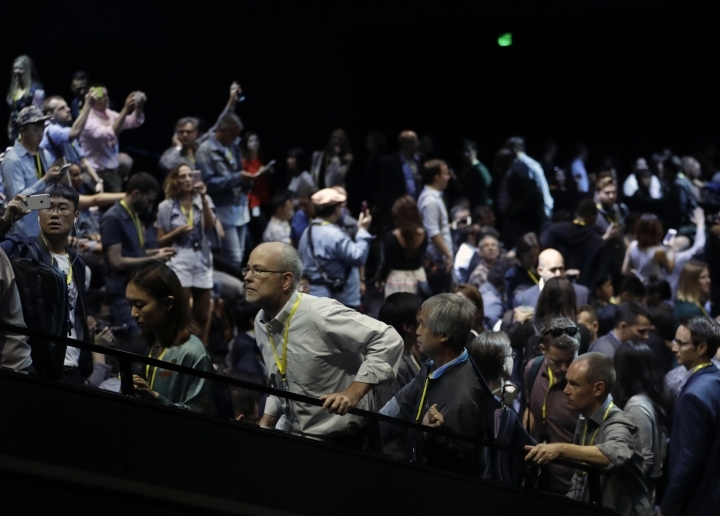 "They fixed Bluetooth headsets," said tech analyst Patrick Moorhead, of Moor Insights & Strategy, after trying a pair. 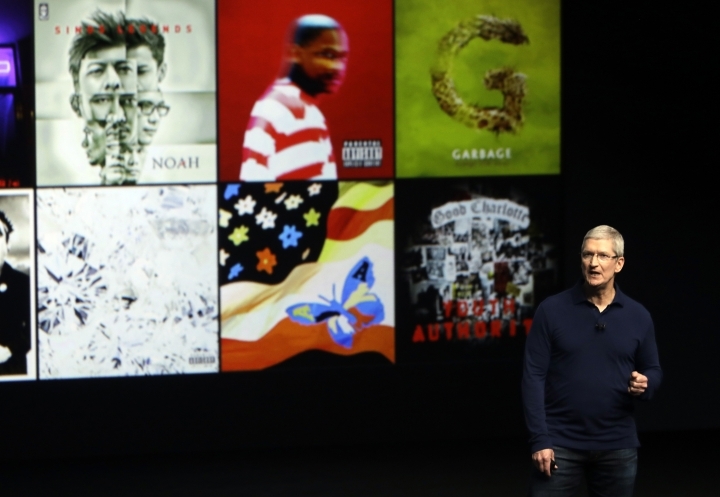 "I think Apple has a real winner here." 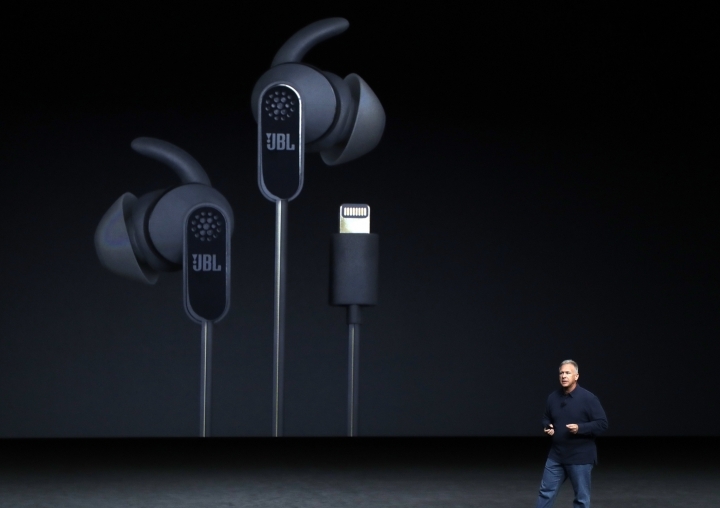 But mobile tech analyst Carolina Milanesi of the Creative Strategies firm thinks Apple has a bigger goal in mind — to make it easier for consumers to use one set of wireless earpieces with a variety of Apple's products. 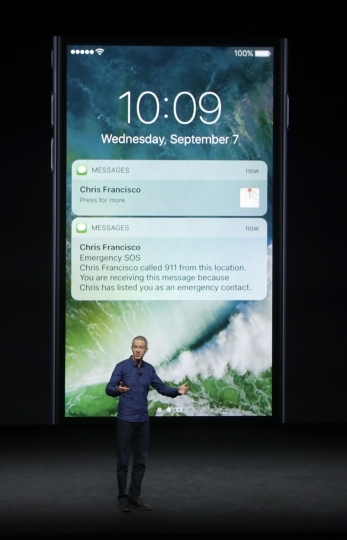 "It's not just about your iPhone anymore," she said. 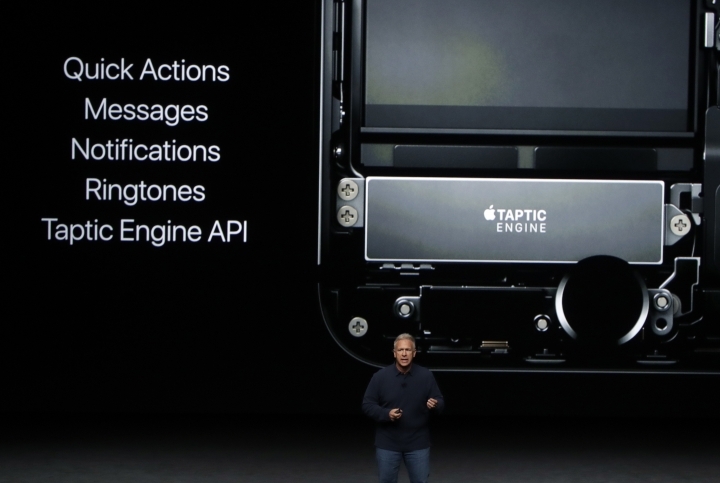 "It's about getting consumers thinking more about that ecosystem of Apple products — and how they all play nicely together." 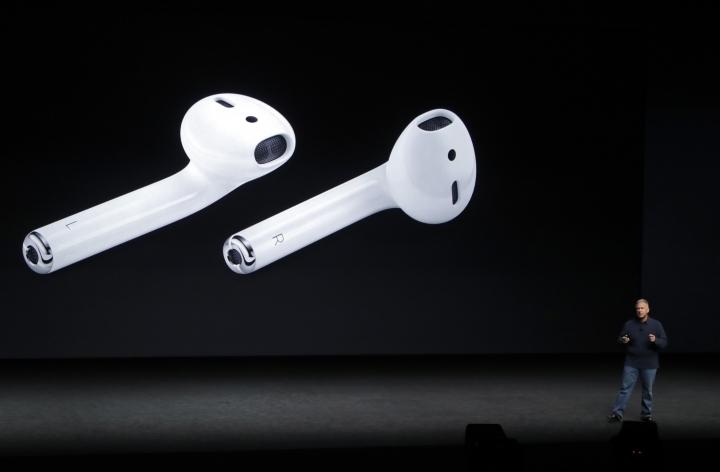 It's an expensive ecosystem: Buying a new iPhone 7, Apple Watch and a set of AirPods will cost over $1,000. 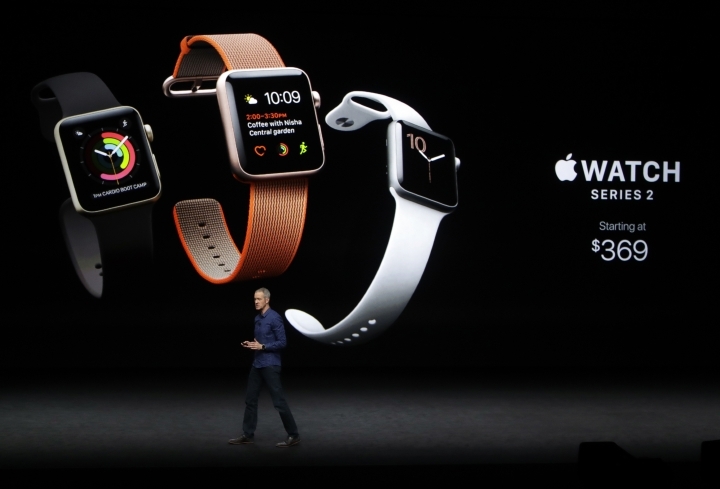 But Apple has never been shy about marketing its products at a premium price. 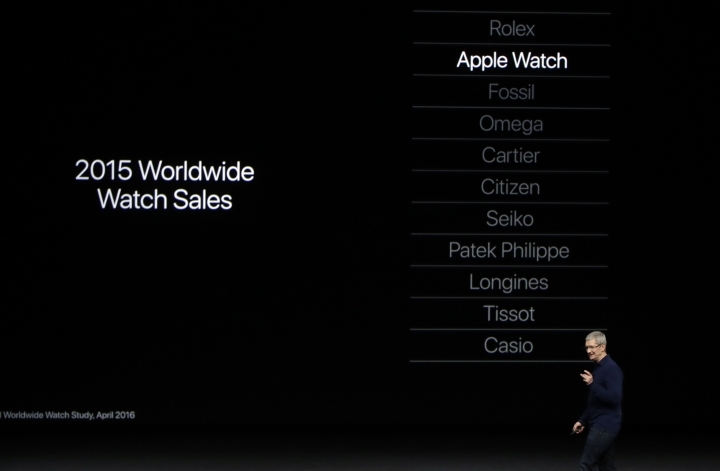 Apple is hoping its new iPhone and an updated Apple Watch, known as Series 2, will help reverse a recent decline in sales. 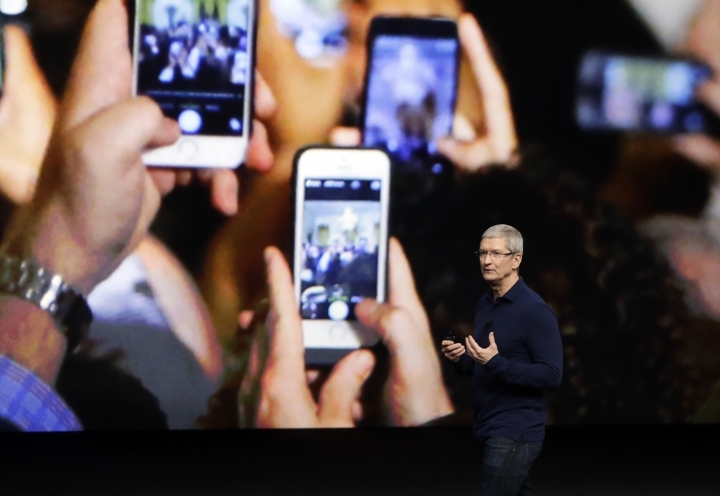 While the company sold nearly 92 million iPhones in the first six months of this year, that's about 15 percent fewer than the same period last year. 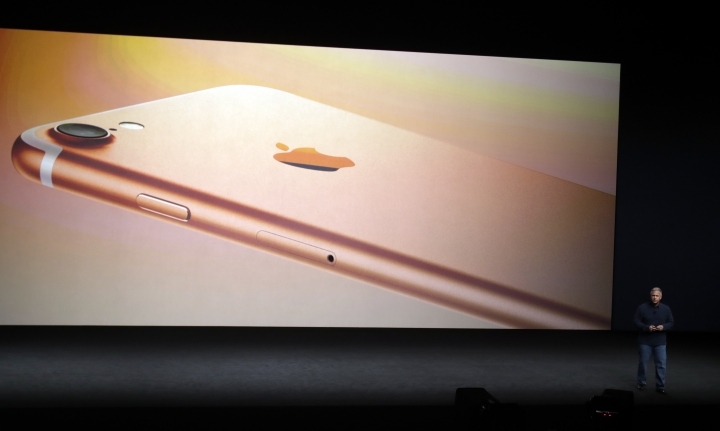 Industry analysts say the iPhone 6S and 6S Plus, which Apple introduced last fall, didn't offer many compelling new features over the previous year's models. 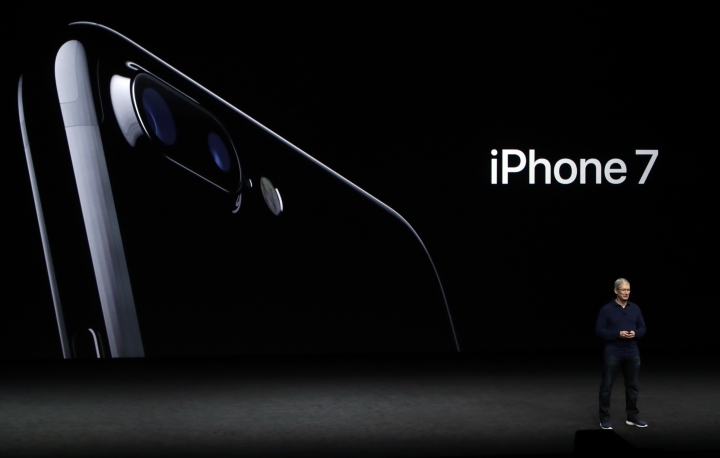 With the iPhone 7 and 7 Plus, Apple may face a similar challenge. 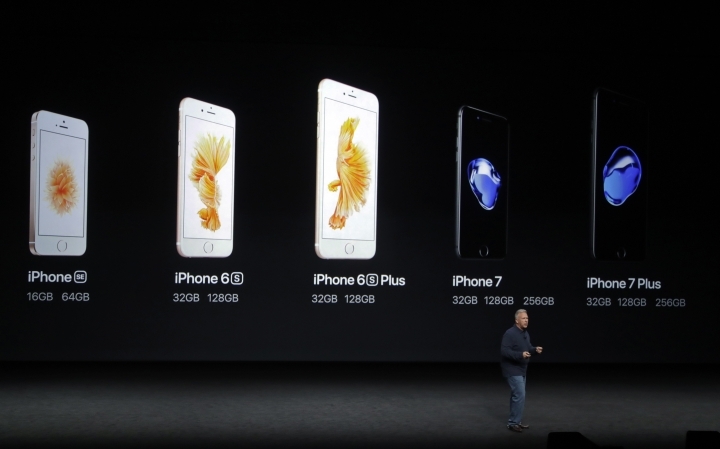 O'Donnell, for instance, considers the changes from last year's iPhones "modest" overall. 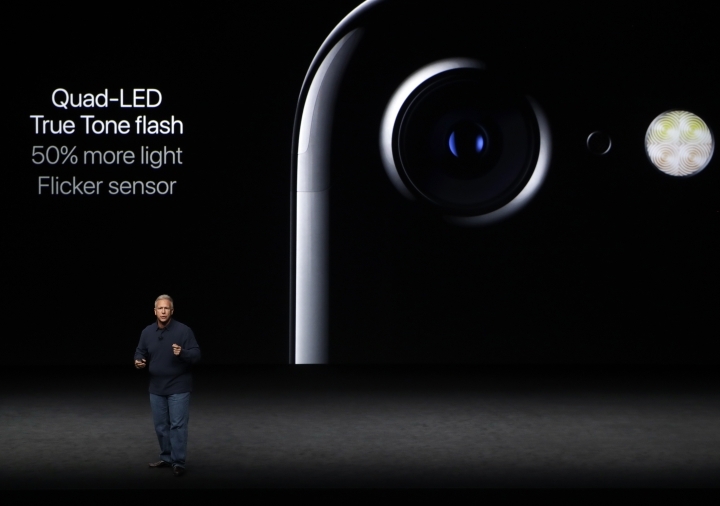 A new dual-lens camera in the iPhone 7 Plus may be impressive, he said, but it's only available in the larger and more expensive phone, limiting its appeal. 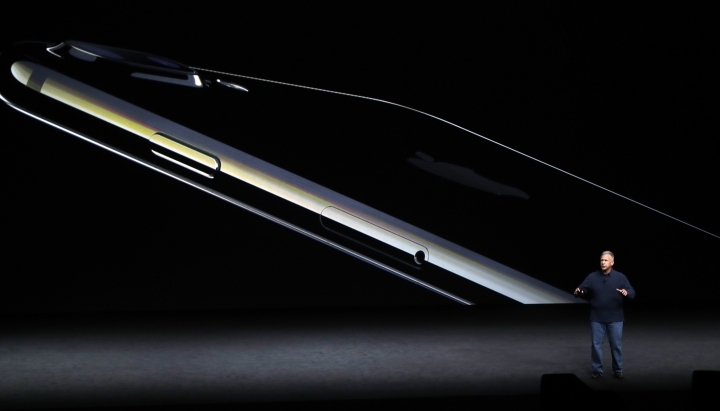 "Smartphone advancements are slowing down as the market is maturing, so minor things like look and feel get more attention," O'Donnell said, noting that Apple spent several minutes of its presentation extolling the virtues of an optional "jet black" finish for the new phones. 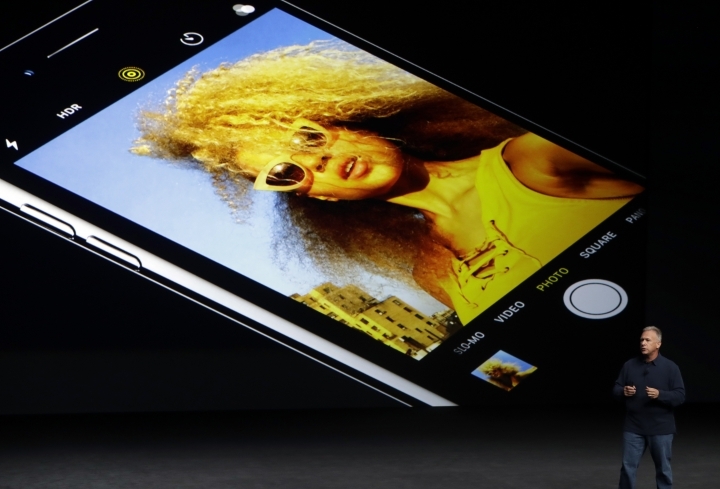 Other smartphone makers are also having trouble dazzling consumers with new advances. 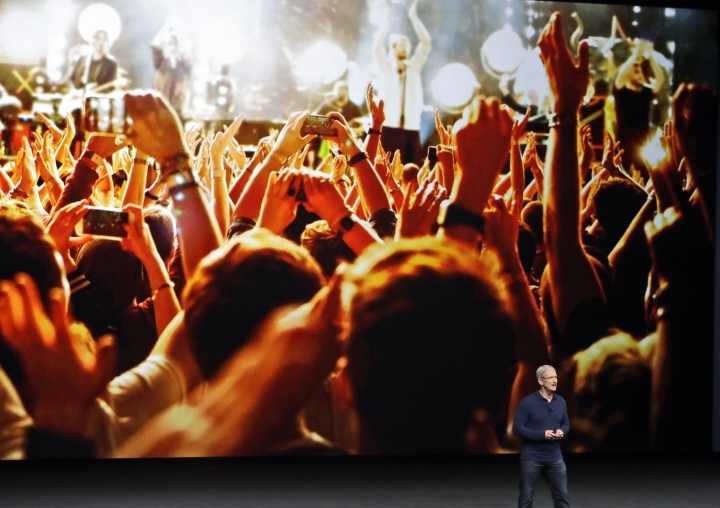 But Forrester Research analyst Julie Ask figures consumers will appreciate the faster chip and other improvements once they try the new iPhones. And she's not worried about any backlash over elimination of the hardware jack. 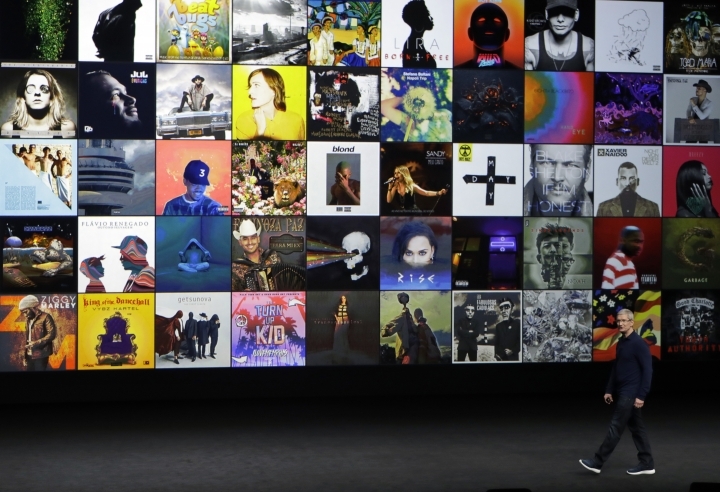 "Apple has a very long history of removing features we all thought were necessary, and then convincing us that we didn't need them," said Ask, noting that Apple paved the way in phasing out the use of floppy discs and optical drives in computers. "Three months later, it will be, 'Why did we ever have that?'"